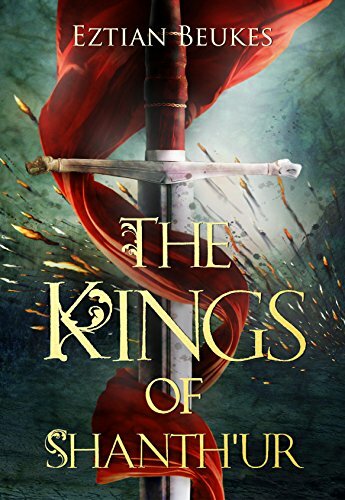 What starts out as the story of a young prince eager to earn the respect of his peers and his father the king, evolves into an epic tale of the boy who becomes a man, attempting to free his people from the bonds of servitude at the hands of another kingdom. As the narrative unfolds, our main protagonist Aven rediscovers the ability to do magic, long forgotten by his people. With determination and an absolute refusal to give up, he enlists the services of trusted friend and Warrior Rigon to free his people from foreign rule and restore the Kingdom of Shanth’ur to former glory. Aven is a prince, greatly sheltered by his father. The king has sheltered Aven ever since his mother was killed by the king of Braedenia, a neighboring kingdom that has complete and utter control over the kingdom of Shanth’ur because Shanth’ur did not meet their taxes for that month. Mogantis uses the people of Shanth’ur as slave labor….from working in the mines at Richt Kaiel to being their personal slaves in the kingdom of Braedenia. So I ask of you again, old friend. What happened to the Kingdom of Shanth’ur? What happened before I was born that our people now have to slave in the mines for another? Well, wasn’t he surprised when Lumor told him. Greed on the Braedenia’s end, ignorance on the Shanth’ur’s end. They ended up going to war over it and Aven was very surprised to learn that Shanth’ur had mages….powerful mages. But Braedenia had a magic book called the book of crole and they used that book to win the war and strip the Kingdom of Shanth’ur of its mages and its freedom. Aven is upset over hearing that but what Lumor says next floors him. Well, quite a few years after the war there was a foreseer. He foretold that one day the son of a King would be born with magical blood yet again. A prince that would rekindle magic in the kingdom of Shanth’ur and lead his people to live in freedom once more. Aven soon discovers that he is the prince in the prophecy. With the help of Rigor, his best friend, Kaira (his love interest) and her father, Kurgen, he learns magic and sets off on an epic journey to get the book of crole and defeat the king of Braedenia to regain the freedom of his people. Along the way, he meets a winged woman, gnome-like people and a spirit that only talks to him in his dreams. Aven drove me nuts the first half of the book. He was so impulsive. The scene in the pub where he made the huge speech about getting freedom for Shanth’ur….against Rigor’s wishes, was a prime one. But, once he started on his journey/quest, he calmed down. The journey to Braedenia was probably the highlight of the book. I think it was the fact that he had fourteen days to get there and get the book made the journey more interesting for me. The end of the book was great. People get what they deserve and new alliances are formed. Why: I absolutely loved the storyline. It was engaging, full of action and of course magic. Reblogged this on My Indie Corner.